A booktalk in the broadest terms is what is spoken with the intent to convince someone to read a book. Booktalks are traditionally conducted in a classroom setting for students. However, booktalks can be performed outside a school setting and with a variety of age groups as well. It is not a book review or a book report or a book analysis. The booktalker gives the audience a glimpse of the setting, the characters, and/or the major conflict without providing the resolution or denouement. 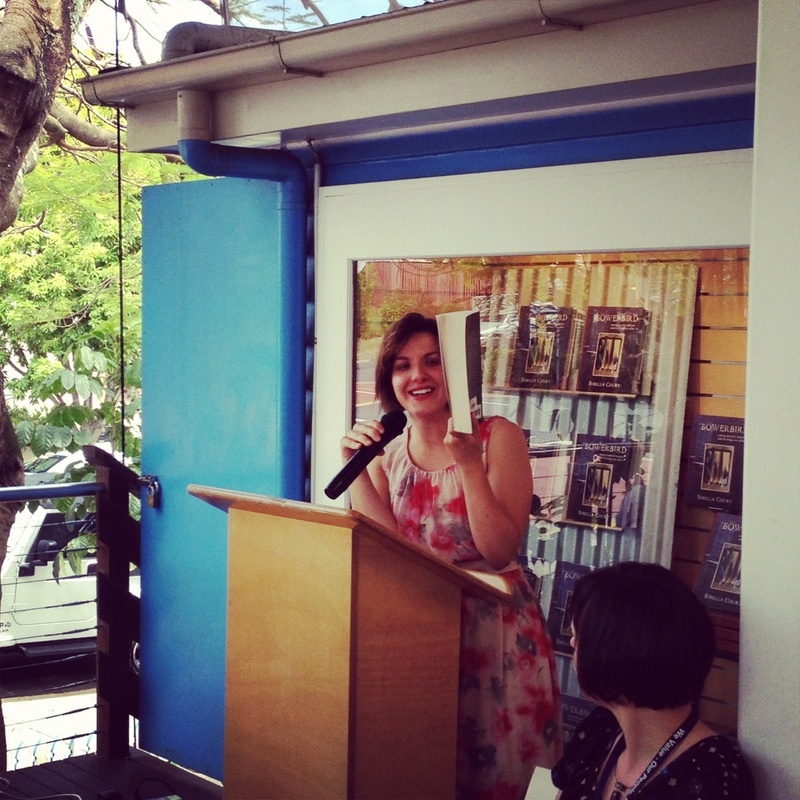 Booktalks make listeners care enough about the content of the book to want to read it. A long booktalk is usually about five to seven minutes long and a short booktalk is generally thirty seconds to two minutes long. We look at the display on new items mostly from the JF collection that have come in during that month. I have read a couple of the books and talk about why I did/did not like the book, intended audience and genre recommendations. Sometimes there are new Beginner Readers that may be of interest to the boys. Next we go around the group and ask what the kids have been reading, did they like it, what type of genre, who do they think would like to read this type of book. This is only a couple of sentences form each child and they only join in if they want to. Also displayed is another part of the Junior collection such as Audio Books, JNF or mags. This is to show the kids that there are other things at the library that can be borrowed. Does your library provide book talking as one of your readers advisory tools? If so, we would love to hear about your experiences. 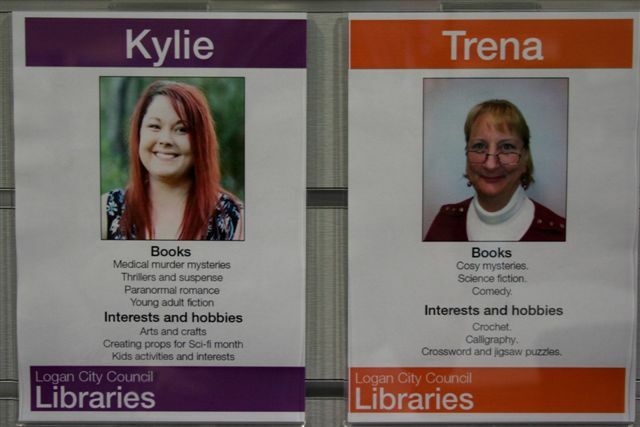 Following on from our last post on connecting our communities with reading, today we feature Chris Orpen, Regional Librarian from Logan North Library, in Queensland. She attended “Best Sellers” readers advisory training with Paul Brown in November 2010, and then introduced retail principles of customer service and visual merchandising via staff picks into her library. Encouraging staff to write regular short reviews for shelf talkers has always been a problem. All start out enthusiastically but the demands of day to day ‘busyness’ often pushes the reviews to a low or non priority. We developed a simplified process to overcome this issue. Each staff member has a colour coded book mark with a 5 star graphic and their name. 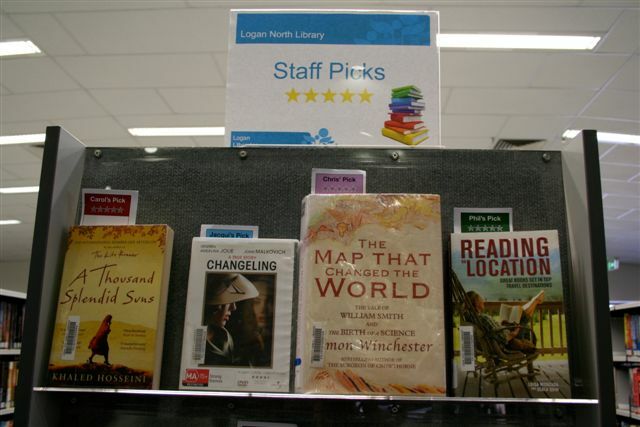 They simply choose a book they enjoyed or would recommend, place the bookmark inside with the label showing, and place it on our designated end displays. Using this method we have loaned over 11,000 ‘staff picks’ in the last 12 months. We had always planned to expand this concept if the project was successful. 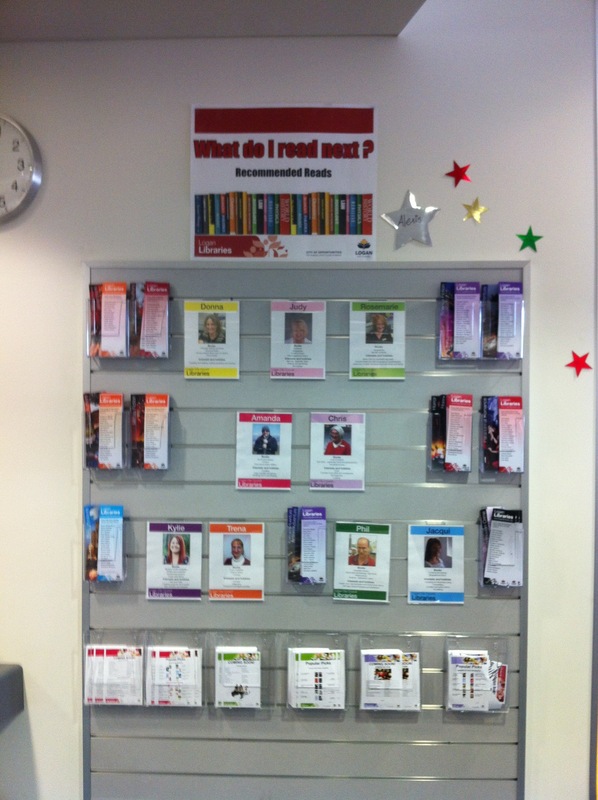 To overcome the lack of written review, each staff member has their photo (with the corresponding colour code) on display near our Readers Advice desk. Accompanying the photo is a dot point list of reading preferences and hobbies/interests. This assists borrowers in selecting items of common interest. The concept has proved very popular with many borrowers ‘following’ particular staff members, and it also adds a personal aspect to our selections. An unexpected advantage has been that new members get to know the staff much more quickly. Chris’s paper, ‘If the shoe fits… the heart and sole of a retail librarian‘ is definitely worth a read! !